Zenit Saint Petersburg have identified an asking for Leandro Paredes, who is a target for Chelsea and Paris Saint-Germain this month. The 24-year-old midfielder’s future at Zenit has been under the scanner in January due to interest from two European heavyweights. 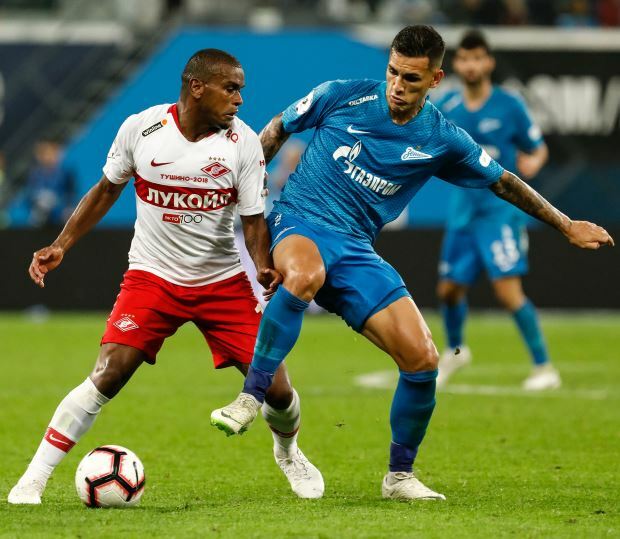 Chelsea have been holding talks with Zenit for Paredes over the last few weeks, but have already seen a €35m bid rejected by the Russian giants for the Argentine schemer. PSG recently jumped into the transfer bandwagon for Paredes in their search for a midfielder, but Zenit have also rejected an offer from the French champions for the midfielder. Zenit want to raise the stakes in the transfer saga and according to French sports daily L’Equipe, the Russians are eyeing pocketing a fee of around the €55m mark. The Russian giants are aware that it will be tough to keep Chelsea and PSG at bay for Paredes but are determined to get the best price possible for him this month. The midfielder has reportedly thrashed out personal terms with Chelsea but it has been claimed PSG’s interest has turned his head towards moving to France. Paredes is claimed to have prioritised joining the French champions over Chelsea.